Grilling can be a fun, family activity during weekends. Spend your lazy afternoons in your backyard, and take out those grillers for a grilled chicken for your dinner. Learning how to grill is not as hard as you would see on television. All you need is the proper temperature for your griller especially if you are using an electric grill. 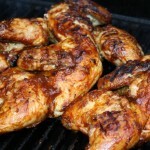 Nevertheless, if you have the conventional griller, try to find some dried wood or charcoal. Ignite the coals or wood by placing crumpled papers below each coal and then set the papers on fire. Do not pour gasoline on the coals or dried wood. The smoke coming from the coals will give a gasoline-like aroma to your grilled meat. These are your best weapons in grilling. Choose the best part of the chicken. I usually use chicken thighs and legs since they are the fattiest parts of the chicken. 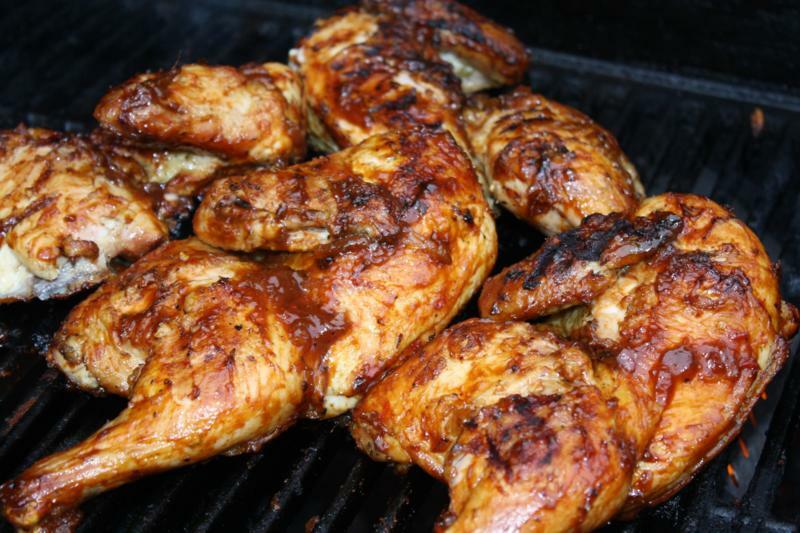 These parts will yield a juicy, barbecued chicken. Although these may sound unhealthy, the taste is incredibly delicious. Some would still prefer grilling chicken breasts with the skins on. Combine all the above ingredients in a heavy skillet and let it boil for two minutes. Add in the chicken and simmer for another five minutes. Drain the chicken in a colander and reserve the marinade for basting during grilling. Basting is necessary so that the chicken won’t dry out. The marinade can also be made as a sauce by making a basic roux. This is simply done by placing a tablespoon of butter on a non-stick pan and let it cook for minutes. Pour over the marinade and whisk until the sauce thickens. Taste the sauce and adjust the seasoning’s accordingly. You can also opt to make a dry, rub marinade. This dry rub is comprised of herbs and spices and a little oil. For chicken, dried or fresh tarragon and rosemary blends together very well. If you want a spicier, grilled chicken, add a pinch of chilli powder and cayenne pepper. 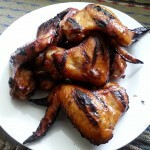 There are limitless marinades for grilled chicken. A little imagination and creativity are the keys. Make sure that when grilling the chicken, never let the flame flare up. This will result in burnt chicken. This does not appeal both to the eyes and to the palate. If this occurs, sprinkle a little water over the flame. Some also like their grillers to be covered during the grilling process. Personally, I liked mine uncovered. There is just something about the smoke which is, for me, the essence of grilling. Grilled foods are best served warm, right off the grill with some salads or other vegetables of your choice. This is a very good tip especially to those new to the blogosphere. Brief but very precise information… Thanks for sharing this one. A must read post! I have been exploring for a little bit for any high quality articles or blog posts in this kind of area . Exploring in Yahoo I at last stumbled upon this website. Reading this information So i am satisfied to show that I’ve a very excellent uncanny feeling I found out exactly what I needed. I so much without a doubt will make sure to do not omit this website and give it a glance on a constant basis. almost nothing comes about up until the coffee maker sneakers directly into steps. Buy a the opportunity (frmier) chicken breast. Nonetheless, And get away from many of these cardiac arrest in addition to shots inside adult life. I’m uncertain where you are having your info, but good topic. I should spend some time learning more or understanding more. Thanks for great information I was looking just for this information for my mission. I just want to mention I am just very new to blogs and really savored you’re blog. Very likely I’m likely to bookmark your website . You surely come with amazing articles and reviews. Appreciate it for revealing your webpage. about it and get annd even much better benefits. Maybe that is why I’ve not really had a large numbers of loyal readers. I ought to haave consulted your website first before starting my very own. I have been surfing on-line greater than three hours today, yet I by no means found any fascinating article like yours. It is beautiful worth sufficient for me. In my view, if all site owners and bloggers made good content material as you probably did, the net might be a lot more helpful than ever before. Iron Cooker Blog. I do have a couple of questions for you if you don’t mind. Is it only me or do some of the comments look like they are left by brain dead individuals? 😛 And, if you are writing on other places, I would like to follow everything new you have to post. I just like the helpful info you supply in your articles. I will bookmark your blog and test once more right here regularly. I’m somewhat certain I’ll learn a lot of new stuff right here! Best of luck for the next!